The AKP-MHP government, based on animosity against Kurds, has kicked off the local elections process with political attacks against HDP and DBP. More than 300 party members have been detained in some 20 locations in the last 5 days. The Turkish state’s operation to disband the legal advances achieved by the Kurdish people in the last 30 years has continued, with occasional slower pace, for 9 years through the “KCK operations” launched on December 14, 2009 after the DTP achieved a historic win of 100 municipalities in the local elections held on March 30. Turkish President Erdogan targeted Kurds and Kurdish politics once again as he clarified his strategy for the local elections in the most recent camp his party held, and the political genocide operations relaunched on his orders this Friday with over 300 detentions. The DTP won a historic 100 municipalities in the March 30, 2009 local elections and with that, the Turkish state entered a new phase. Just 2 weeks after the elections, the PKK issued yet another unilateral ceasefire, and the Turkish state launched mass detention operations against Kurdish politics within 24 hours. The political genocide campaign launched allegedly against the KCK saw 72 people including DTP Deputy Chairpersons detained. 52 of these first 72 were arrested. In December 2009, the DTP was shut down, and the political genocide operations continued. At the same time, the Turkish state was engaged in a dialogue process with Kurdish People’s Leader Abdullah Öcalan. There were meetings on one hand, and operations continued without a hitch on the other. The meetings between the state and the KCK continued until the parliamentary elections in June 2011, after which the state committee changed their minds. Victorious in the elections, the AKP severed all ties with the Oslo talks. The isolation against Ocalan started just so. Ocalan’s lawyers were banned from visiting the Island and meeting with their client. The Ankara regime’s witch hunt against the Kurds and the failure of the Oslo talks had escalated the tension further. Thousands of people were detained in dawn raids and thrown into prisons. After the DTP was shut down, the target became the newly founded Peace and Democracy Party (BDP). 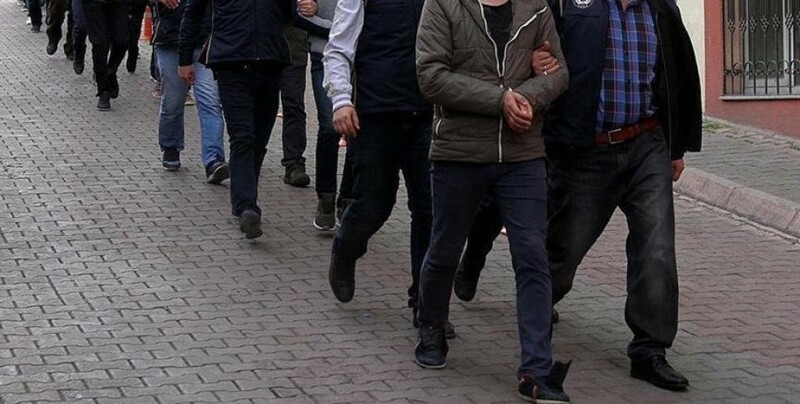 Hundeds of people including party administrators and academics were detained in the operations against the BDP on October 4, November 23 and December 8, 2011. On December 20 of the same year, it was Kurdish journalists in the crosshairs. The largest operation against the press in the history of the Republic of Turkey was launched. 46 journalists were detained in one day, and most of them were arrested. This campaign of oppression launched in 2009 had a list of detainees and arrestees that kept growing every day. Mayors, governors, journalists, unionists, academics, human rights defenders, students, children, they were all being thrown into jail. 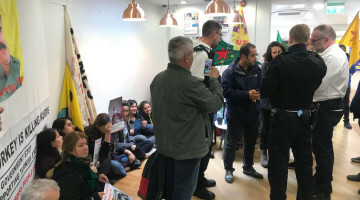 Possession of eggs and books, wearing a Kurdish scarf, having dusty hands, being sweaty or chanting slogans were considered enough “evidence” to justify the arrests. According to reports prepared by human rights organizations, in the 3 years between 2009 and 2011, 27.503 people were detained and 6.444 of them were arrested. The year 2011, when over 12.600 thousand people had been detained, was dubbed by human rights defenders to be “the year when the state competely institutionalized with its police”. The June 12 elections that Erdoğan won also happened during a ceasefire. As a result of the increasingly authoritarian AKP regime’s attacks, the ceasefire ended after the elections. 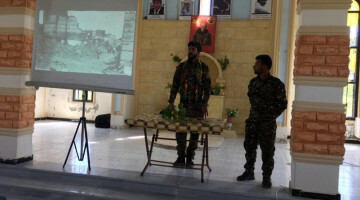 First news of violent clashes broke on July 14, when 13 guerrillas were martyred in the military operation against the guerrilla forces who were in a ceasefire position in Silvan. 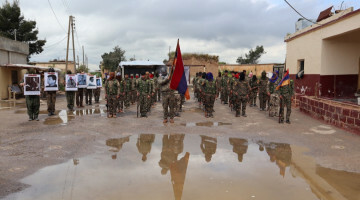 As the witch hunt against Kurds and all opposition groups in the city continued, annihilation operations called the “Tamil scenario” were launched against the guerrilla. The Turkish government based all their plans on the guerrilla not surviving the winter of 2011-2012. On the night of December 28, 2011, Turkish fighter jets targeted the Roboskî village in Sirnak’s Uludere district and murdered 34 people, most of whom were children. 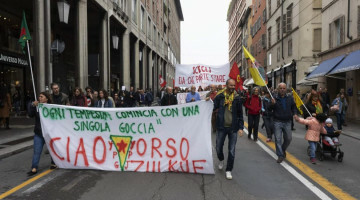 Attacks against civilians, politicians and guerrillas continued throughout the winter, and in the spring of 2012 the guerrilla forces launched one of the most extensive campaigns of the last 30 years against this bout of oppression and disbanding operations. 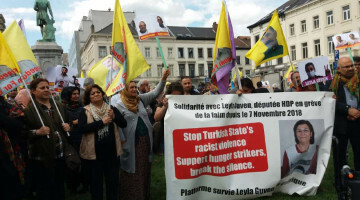 With the oppression and the guerrilla’s harsh response to this process continued until Ocalan’s historic call in March 2013. 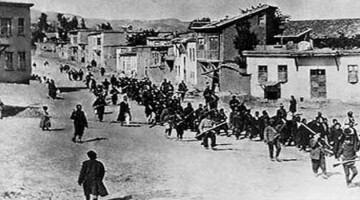 The political genocide operations relatively lost wind after 2013, but continued as part of the extensive wave of state terror launched with the Turkish state implementing on July 22, 2015 the decision for war made in 2014 - annihilation operations in the rural and urban areas, destruction of residential areas and re-occupation. 13.000 people were detained in 2015 and 16.000 in 2016. This has continued to this day. The AKP-MHP coalition announced that they will run in the local elections as an alliance again and started preparing, after which Turkish President Erdogan started firing speeches focused on the local elections. 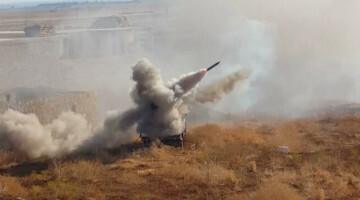 With the fortification targeting Southern and Western Kurdistan and preparations to invade new spaces, Turkish President Erdogan has been spewing threats left and right, accompanied by military annihilation operations spread almost completely throughout Kurdistan. Erdogan recently implied that if HDP’s candidates win the local elections, they will appoint trustees the next day. Erdogan has terrorized the HDP and its constituents, and 8 JOH members were “annihilated” along with the Kirpi type armored vehicle they were riding in as he screamed in victory. 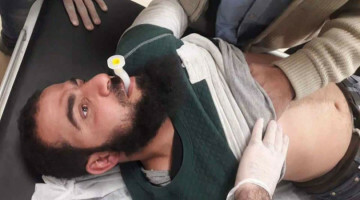 After this incident, Erdogan issued the order, “800 for 8”. What came next was villages being blockaded with military operations with intense aerial elements, and a downpour of state terror. 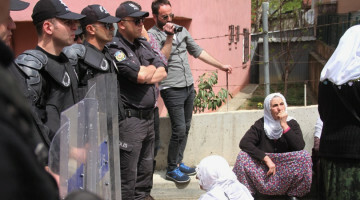 There were raids and detentions in Batman and Mardin’s Dargecit villages because of the Batman action. 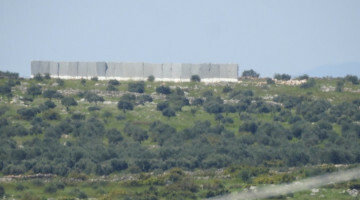 In two villages in Dargecit, the blockade and the ban continue. Similarly, Lice’s villages are cut off from the rest of the world due to “live operations”. Village guards participating in the detentions, torture and insults has rubbed salt to the wound. A new wave of political genocide was launched under the guise of “KCK operations” last week on Thursday. In the first 3 days, over 150 people including politicians, journalists and writers were detained. From Monday night onwards, hundreds of homes and businesses were raided in 9 provinces centering on Amed, and 151 people were detained.